As Singapore is heading towards a perpetual gloomy and rainy season, I am favouring wearing reds more to brighten up the mood and the face. These shades are lovely to wear during the fall season as well, for those living in the northern hemisphere. 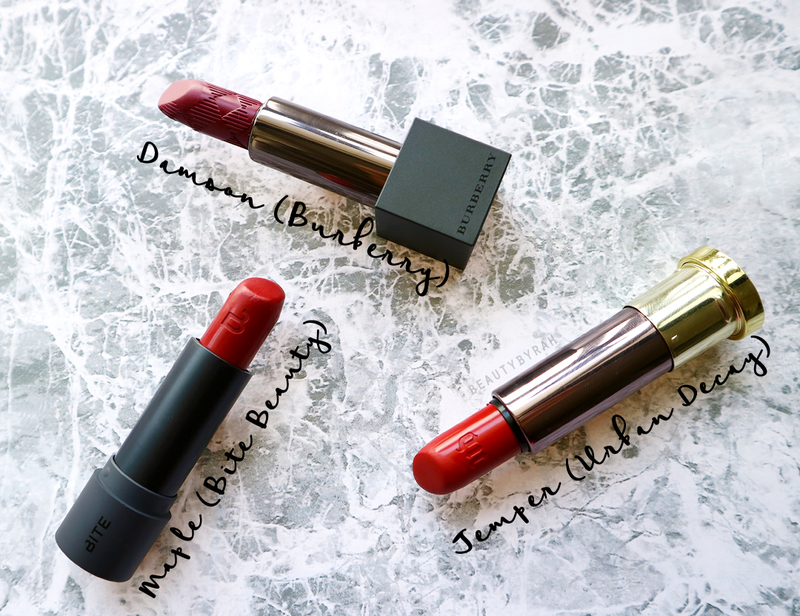 These lipsticks have really nice formulation and as a sad soul who suffers from dry lips, I am constantly looking for lipsticks that do not dry them out. 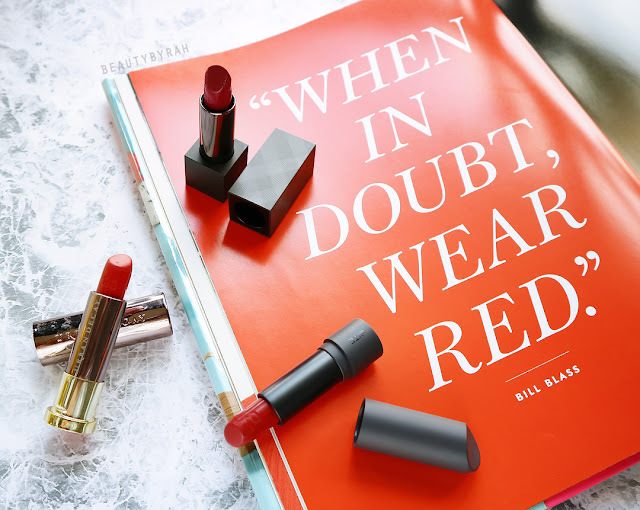 These 3 red lipsticks do pass the test when it comes to its shade, pigmentation and formulation and if you're on the hunt for a new red lipstick, I highly recommend that you check these out! Recently Urban Decay came out with 100 new lipsticks for their VICE lipstick range and boy did I get addicted. 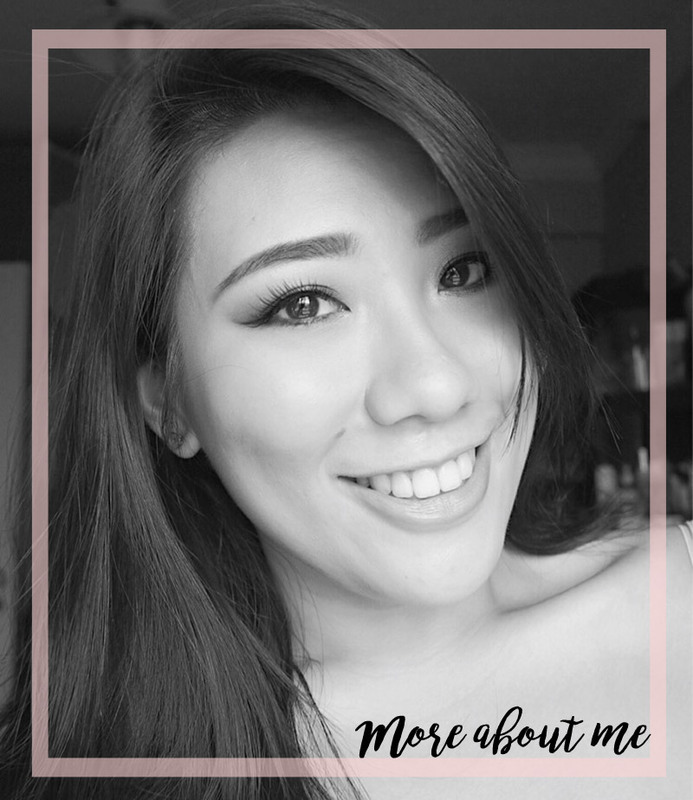 I am a huge fan of their comfort matte lipstick formula - it glides onto the lips really nicely and doesn't dry out the lips too much. I really hate matte lipsticks that just cracks the lips up and emphasise the lines, but these from UD do not. My favourite comfort matte shade has got to be Temper. This is a warm orange-y red that goes really well with a warm brown smoky eye. I feel like this lipstick really compliments the warm olive tones in my skin! If I am feeling like a warm and bold lip, this is the one I would go for. When I was in NYC, I was in the Sephora and I saw the Bite Beauty counter. We do not have bite beauty in Singapore sadly so I was super pumped! On a whim, I bought this and I am really in love with it. This is from the Amuse Bouche range and is a warm toned brick red, a perfect shade for fall. The formulation is amazing - super hydrating on the lips. The pigmentation is pretty intense, and I just need one layer to get full colour payoff. This lasts a good period of time on my lips and my lips feel and look moisturised and plump whenever I wear this. I know, this is expensive and my heart did hurt a little when I bought it as well. However, this Lip Velvet lipstick makes it worthwhile. This is a deep wine cherry that sets with a velvety matte texture. The formulation is once again, top notch. It glides on really nicely on the lips and is hydrating as well. This does not last as long as the Bite Beauty one, but it does not completely disappear when you drink either. Temper by Urban Decay is SGD 29 and can bought off the Sephora Singapore Website. Maple by Bite Beauty is USD 26 and can only be found on Sephora US Website (I am sorry!). Damson by Burberry is SGD 45 and can be found via the Sephora Singapore Website as well. One can never have too many reds in her arsenal. Oh, what a difference a red lipstick makes.